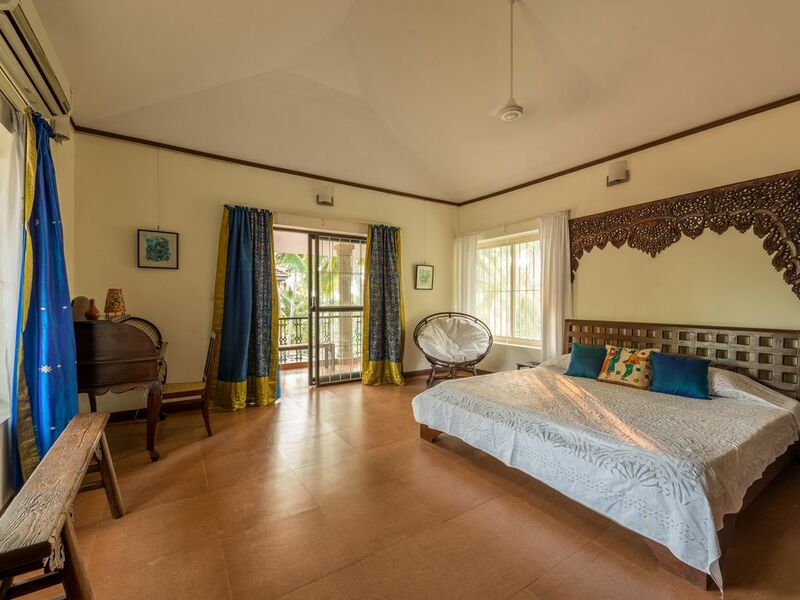 A beautiful modern villa marries the elegance of Kerala's traditional authentic wooden decorative ensemble creating a charming, peaceful and relaxing atmosphere yet with the convenience of being just a few steps away from the virgin beaches of Azhimala. A short private path from the house leads our guests to our private beach offering them the feeling of living in complete contact with this sub-tropical nature. A sideway promenade (just a 100 mtrs further) reveals the true jewel of this part of the coast of Kerala where, small naturally carved-into-the-rock niches offer visitors private, clean lagoons and a breathtaking view at sunset time! Just 15 mins away from the famous touristic Kovalam beach, 40 mins from Trivandrum city and 3 and a half hours away from Kaniyakumari (the tip of India), Ocean Villa lies amidst the location known for Ayurveda thus providing treatments in this ancient medicinal practice of Kerala. Expect yourselves to be welcomed by a foreign artist, Maryse, who speaks 4 languages (English, French, Italian, Malayalam-the language of Kerala) who dedicated her life to the true meaning of the arts and culture of this land, and will guide you throughout your stay with great care. Ideal to accomodate groups of people, families, couples, nonetheless, solo travellers Ocean Villa organises (on request) private classes/workshops in the traditional artforms of Kerala: Kathakali (theatre dance-drama), Kalaripayattu (martial art), Yoga Mudra, Classical Music as well as Yoga and intensive training in Ayurvedic massage courses.